Born in Chicago and raised in the Bay Area, Jordan Belson trained as a painter before turning his attention to film-making after discovering the abstract films of Oskar Fischinger, Norman McLaren and Hans Richter. Since 1947, Belson has explored consciousness, transcendence, and light in a visionary body of work that has been called "cosmic cinema": brimming with vibrant color, mandalas, liquid forms and mesmerizing rhythms. In 1957-59, Belson collaborated with sound artist Henry Jacobs on the Vortex Concerts, early multimedia events that combined new electronic music with Belson’s visual effects projected on the 65-foot dome of the California Academy of Science’s Morrison Planetarium. The program at LACMA features rarely screened films including Caravan (1952), Séance (1959), Cycles (1974, made with Stephen Beck), a new preservation print of Chakra (1972), and Belson's latest film, Epilogue (2005), funded by the NASA Art Program and commissioned by the Hirshhorn Museum (produced on video). 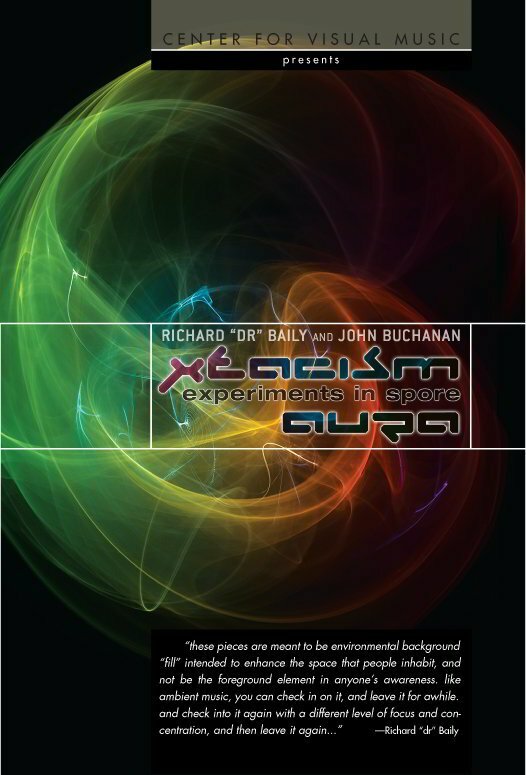 The program also includes Allures, Light, Music of the Spheres and Samadhi. Program introduced by Cindy Keefer, curator and archivist, CVM. Presented by Center for Visual Music. 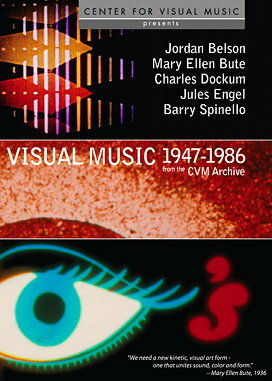 Introduced by Cindy Keefer, archivist and curator, Center for Visual Music. 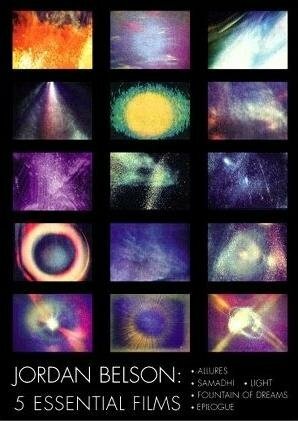 Since 1947, Bay Area artist Jordan Belson has explored consciousness, transcendence, and light in an extraordinary body of abstract films that has been called "cosmic cinema." This program features rarely screened films including Caravan (1952), a new preservation print of Chakra (1972), and the Bay Area premiere of Epilogue (2005), a distillation of 60 years of visionary images synchronized to a symphonic tone poem by Rachmaninoff. $5 general; free for SFMOMA members or with museum admission (requires a free ticket, which can be picked up in the Haas Atrium). Benefit Art Exhibition and Reception. 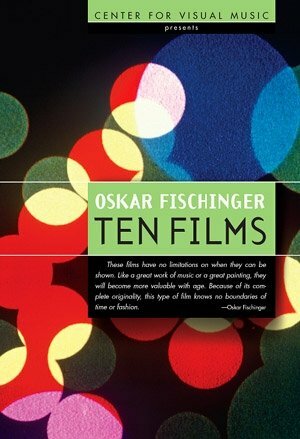 Celebrating Elfriede Fischinger on her 100th Birthday. Hosted by Center for Visual Music in association with Goethe Institut and The Fischinger Trust. Join us for a celebration of the life of Elfriede Fischinger (1910-1999), widow of the avant-garde filmmaker and painter Oskar Fischinger. This special evening features an Art Exhibition of selected photographs, artifacts and Paintings by Oskar Fischinger, a Reception, and Home Movies and Videos of Elfriede. Highlights include Oskar’s first Stereo Painting (1949), The Lumigraph film (1970) by Elfriede, and unshot animation drawings by Oskar. Proceeds from the evening, which includes a silent auction, will benefit the Fischinger preservation, conservation and digitization work underway at Center for Visual Music, a nonprofit 501(c) 3 archive dedicated to preserving and promoting the Fischinger films and legacy. Info soon on the silent auction items.